Legio Minimus: Despair Cryptek Complete! Here is my second Cryptek. He has a Staff of Light and the torso from a Deathmark to simulate the Veil of Darkness. I decided to make this one a bit more spindly and put him on Warrior legs instead of Lychguard legs. He looks less like a warrior and more like a support character then the destruction one. 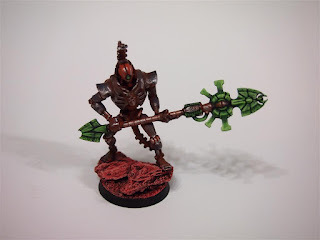 If I do any more for this army they will follow this style I think. 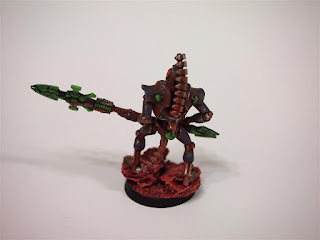 Next Up: My first 6th ed Tournament Battle Report!